Comprehensive investment experience and services. 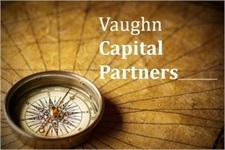 At Vaughn Capital Partners we understand that each client's financial situation and goals require a customized approach to investing, and that many investment objectives can change over time. Whether it's saving for your children's college education, financing a business, or planning for retirement, we offer the financial planning, resources and ongoing management with a goal of helping you succeed in your personal and business life. Click here to read our capabilities brochure.